Jeffrey Eker Jr. began his life’s journey in the small borough of Haddonfield. He graduated from Haddonfield Memorial High School in 2012 and went to Rowan University. Though starting off small, he has grown since going away to college. His ambition has led him around the world, made him a founder of a new app and allowed him to be selected the commencement speaker for his graduating class. Eker graduated from the Henry M. Rowan College of Engineering in the Honors Concentration at Rowan University on May 13 as an electrical and computer engineer with a minor in German studies. He was honored and excited to be selected by the university to represent his peers as the student commencement speaker. Both Eker and his mom credit the Odyssey of the Mind competitions as one of the real jumping off points for him. He and his team went to the world finals for six consecutive years. Eker also said an apprenticeship at the Naval Surface Warfare Center solidified his like for engineering, but specifically electrical and computer engineering. “In high school, I applied for an internship, but the Naval Center rejected me. I wrote to them and explained my love for engineering, and they gave me a higher position as an apprentice,” Eker said. Since then, Eker has used his ambition to accomplish a lot in his four years at Rowan. He completed five internships at the Naval Surface Warfare Center, L-3 Communications, Lockheed Martin Space Systems Company and Rockwell Automation. He is an active member of the Institute of Electrical and Electronics Engineers and is the Region 2 student representative. Eker has also traveled around the world. 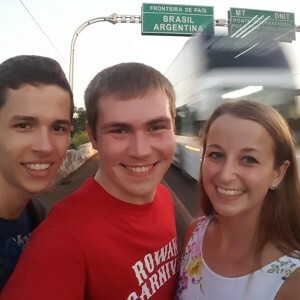 In May, he helped raise $30,000 for 10 students to travel for the Australia/American IEEE Exchange program, which he founded with an Australian student he met while studying in Germany. 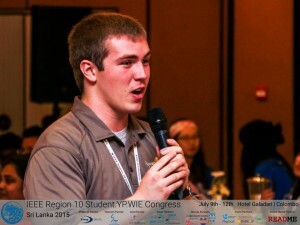 He traveled to Sri Lanka to attend an IEEE congress, speaking about his experiences as the Region 2 representative. Eker, in conjunction with Rockwell Automation, also created a presentation on the life sciences industry he gave in Singapore. 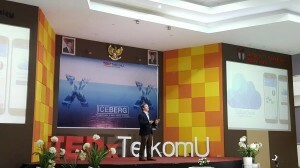 Eker then spoke at a TEDx event at Telkom University about the power of international perspective in Indonesia. In spring 2015, Eker founded Tediferous, LLC, to create a smart-travel mobile app called CultureCloud that connects locals with travelers who share mutual interests. He sought and was granted approval to incorporate CultureCloud into the Junior/Senior Engineering Clinic program in the Henry M. Rowan College of Engineering. The team is now 15 members strong. CultureCloud came from a need Eker recognized in his foreign travels to connect users based on their interests. According to a CultureCloud press release, modern travelers are looking for adventures and human experiences while traveling the world, and the best way to do that is to make a new international friend. CultureCloud promotes culture-defining small businesses so users have an instant way to do as the locals do. See more about the app at CultureCloudApp.com. When he was selected to do the commencement speech, Eker said he was in shock and felt honored to be the speaker. “I honestly couldn’t believe it. I felt like I was doing what I should be doing … I feel super privileged to have this opportunity,” Eker said. Eker wanted to focus his speech on the past of Rowan University, as well as the future of the students graduating. In July 1992, Henry Rowan and his wife donated $100 million to the institution; the Rowans’ only request was that a College of Engineering be created. For their generosity, the school changed its name to include the Rowan name. Last year, the commencement speaker was able to turn and thank Rowan personally for helping to bring the college’s engineering program to what it is today. Unfortunately, Rowan passed away on Dec. 9, 2015. Eker said his speech thanked Rowan, but also focused on the future. “For my speech, I wanted to focus around maintaining his vision. We were able to meet and talk to him; moving forward we won’t be able to see him. It’s our responsibility to continue and spread what we’ve learned,” Eker said. According to Kathaleen, Eker will be graduating with no debt. His freshman year, he did have to take out a student loan, but since then he has applied to and won scholarships to cover his tuition. As a graduation present, Kathaleen said the family is paying off his freshman year loan. “It’s astounding, everything that he has accomplished. You just want something more than what you had for your children, and he has far surpassed anything we could have imagined for him,” Kathaleen said. Eker has accepted a full-time position as a business technology analyst at Deloitte Consulting, LLP. He will begin working in September, but before then he will be traveling around the world to make new connections and to offer international perspective through CultureCloud.